Builders Chester are passionate about the work that we do and we’re known for maintaining a stellar reputation over the years. These are two of the main reasons why our construction team has many satisfied customers that keep on coming back to us for every single building and construction project. 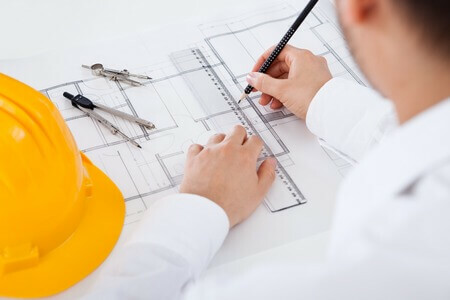 When it comes to the execution of a construction project in Chester, you need professional expertise and a reliable team that will get the job done to the best of your interest. We have years of experience and we can offer reliable solutions on the basis of our know-how. We’ve managed to maintain our stellar reputation through the years by giving every single customer our fullest attention. Every single builder is chosen for their experience and attention to detail. We have numerous satisfied customers ready to recommend our services. We offer a full range of construction and building services. We offer a personalised approach that’s evident in the manner we tackle construction projects. Our mission is to make construction services readily available in Chester. If you’re looking for expertise and the right price to quality ratio, you’ve come to the right place. We make it our primary goal to offer our clients solely the service and solution that they need. Based on our experience in the industry, we can make recommendations and project improvement suggestions that will lead to an even better outcome than clients expect. We have the human resources and the equipment needed to get the job done in a timely, convenient and professional manner. Our commitment to your project will be 100 per cent, which has helped us to always exceed the client’s value and safety expectations. In addition, we make it our primary goal to communicate with clients throughout the building process. Keeping clients informed and getting them actively involved in decision making leads to solutions that address specific needs and that fall within the client’s budgetary preferences. Teamwork: our reputable experts and contractors work together to make even the most complex of projects easy to execute. Safety: the primary focus of every construction project we deal with is safety. We’ll never make a compromise with safety standards and we always use the finest of materials to give clients reliable, long-lived outcomes. Integrity: we’re always honest with our clients. The team will make suggestions, regardless of the scope or the cost of the project. Many constructors aren’t fully-transparent with their customers for the purpose of making a higher profit. Building a long-lasting relationship is a much more important goal for our time. Do you have a building project in mind? Are you looking for the assistance of the Chester industry leaders? Don’t hesitate to give Builders Chester a call or contact us today. Our customer support team will do its best to offer suggestions or schedule a first appointment at a convenient time for you. © Builders Chester - Optimised by SEO Company in Chester, Media Kynect.